As much as we loved our old website *sniff*, it wasn’t mobile friendly… enough. So, we went back to the drawing board ISO of something with an agile framework, extensible features and modifiable design elements to boot. It took a while, as all good things of this nature do, but we think we found and cultivated a winner! 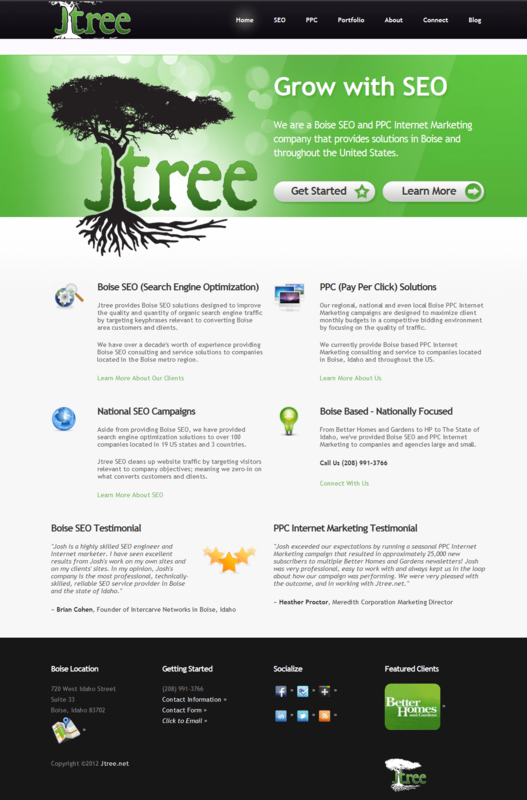 The new Jtree looks good on any screen, as we tested it with Android, iPhone, iPad, Windows and Ubuntu machines while utilizing different web browsers on each device. It even loads a few parsecs quicker. So crisp you could eat it. If you like crispy things. 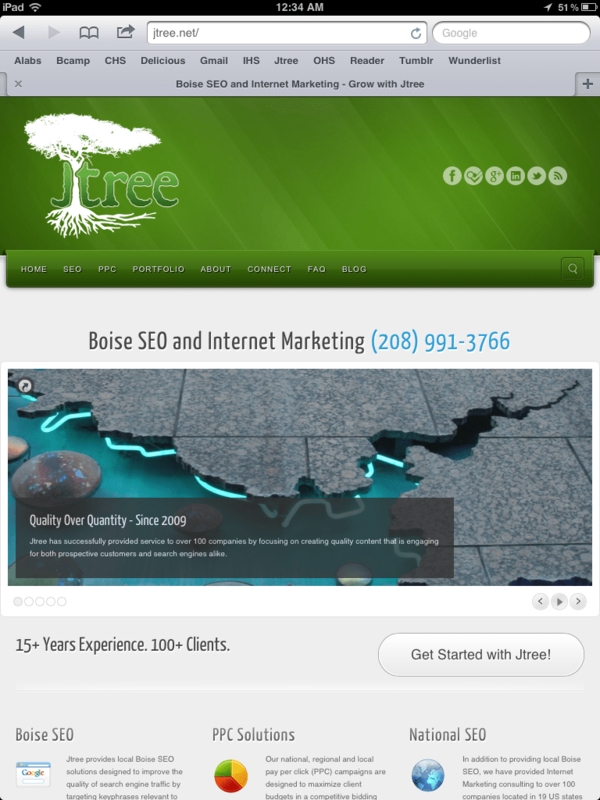 Summer is almost here, as is SEOinBOI #5; a Boise event for those involved in the search engine marketing industry. We had Rand Fishkin speak at SEOinBOI #3 and this time we have Adam Audette as our feature speaker! Click on over to view our latest batch of fresh clients, as our portfolio has recently been updated. With that said, enjoy spring and don’t forget to plan those summer trips! All work and no play makes jack something something.